9pm Film screening of Une Minute de Silence [One Minute of Silence]. 1998 Fiction, 80mins. You can also bring non-perishable vegan food and basic necessity products, as we’re permanently organising a collection for the prisoners of Beaumettes and for migrants. Accessible to people in wheelchairs. 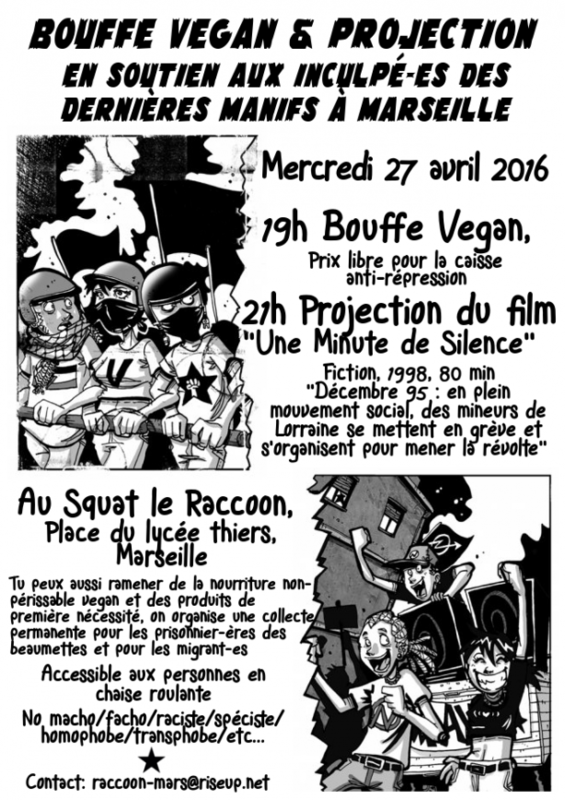 [Translated by Squat!net from fr.squat.net on April 21st.